Organising a Christmas Party can be scary, the success of the evening falls on you, and to put your mind at ease we have put together a checklist to help you plan your Christmas office party this year. Finding a venue to accommodate you largely depends on the amount of people attending the Christmas party, this is something you should at least get a rough idea of right away. Discuss a date and agree on something that everyone is happy with. The budget is what will determine what kind of Christmas party you decide to go for and how extensive the entertainment and theming is. Bespoke Christmas party – Starting from scratch and organising the whole Christmas party can be difficult, if you have decided to do that this year, you should have almost everything complete. You should have found the venue, booked the entertainment, organise the evening activities, you should have found suppliers for theming and gotten caterers for the meal. It can seem like a lot but if you have started early enough, everything comes together fine. 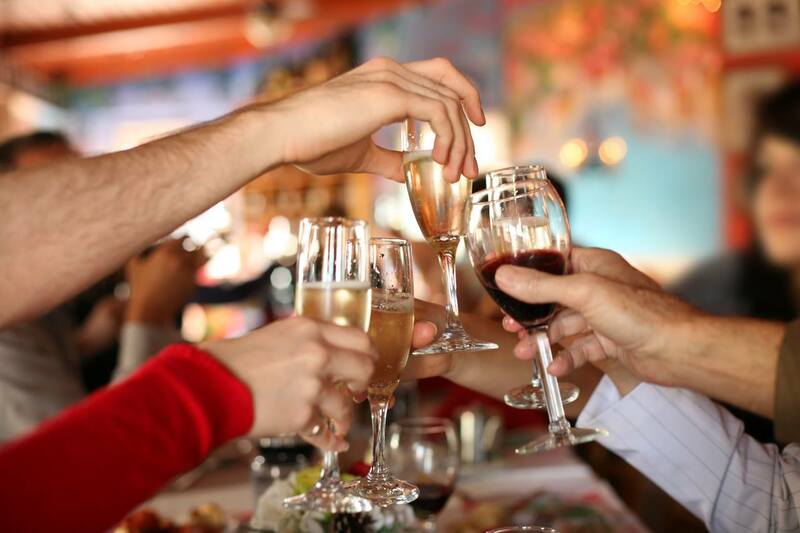 Local Christmas Party – Having a dinner in a local pub or restaurant is a very popular idea for smaller companies. Like packaged Christmas parties, most good pubs or restaurants have packaged deals, which are great for meals and drinks however wont usually offer much entertainment. Once you have decided to book and you have confirmed your Christmas party booking, you should organise meals. Taking into account dietary requirements is important when you are organising a Christmas party for a large group. Of course if you are booking a packaged Christmas party, this is already looked into and there will be alternative meals arranged. Decide whether you will have a complimentary drink in the budget, pre order drinks if you can and ensure that there is something for everyone. This can alleviate future stress. Choosing where people sit can be a pain, we all know that not everyone at the Christmas party will get along, especially with larger office Christmas bookings. A table plan can be a vital step in creating a peaceful Christmas party. This is something we provide at our office party nights, but if you do choose to host your own Christmas party, this is a very important piece to the puzzle, ensuring everyone knows what will be happening on the night means there will not be many of the same questions repeated to you throughout the evening. Out of all of the important things to remember about your office Christmas party, this is something we think is most important! Have fun. That is the whole point of the party, so don’t get bogged down with planning and managing, enjoy yourself. Moonlight & Mistletoe try as much as possible to take away all stress in regards to booking your Christmas party, but if in your instance, you have been stressed organising your own, remember, now is the time to let your hair down.